It seems like buying a race suit can be as difficult as buying a new bike, especially with the wide range of options available on the market and retail pricing ranging from $899.95 to $1999.95. 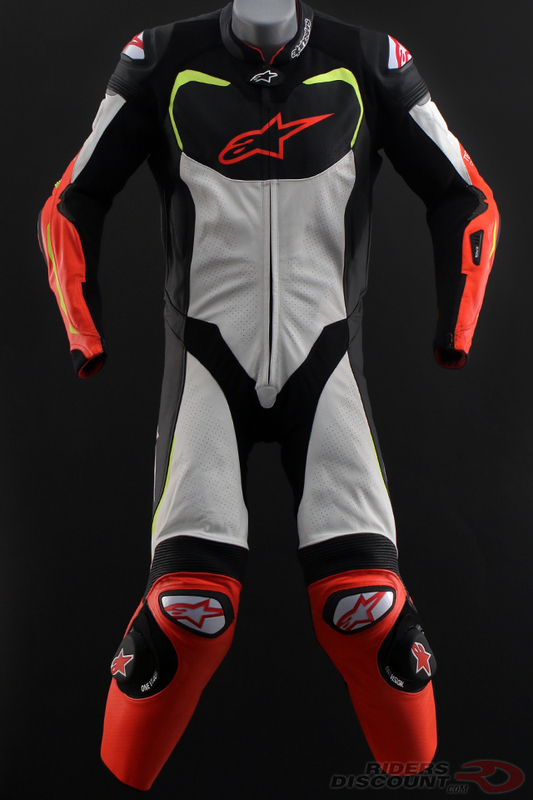 That’s we created this Alpinestars Suit Guide! Here’s a brief summary of each suit to help you decide which suit is best for you. …but first, let’s talk about fit. One of the most common calls we get from customers who just tried on their new suit is that it doesn’t fit right and/or it doesn’t feel comfortable. More often than not, they are basing this on standing up in their living room and walking around the house. A race suit is not meant for either of these scenarios: they’re meant for the rider to be on the bike and carving up the track. The first thing we’re going to ask you when you call with concerns about the fitment is: how does it feel on the bike? When you first put on your new suit, it’s going to take a lot of work and you’re probably going to look ridiculous putting it on. We’ve all been there! After you get your suit zipped up, go out to your bike and sit on it. Get into a tuck, then position yourself like you’re going to drag knee (be careful and make sure it’s on a rear stand or have a buddy help hold the bike). Does it feel comfortable now? Is it hindering your movement at all? These are questions to ask yourself before determining if the fit is good or not. If you think it’s still not fitting right, give us a call and we’ll be more than happy to answer any questions you have or exchange for a different size. Ladies, we have suit options for you too! Check out all of the Alpinestars women’s race suits here. Give us a call if you have questions about sizing or if you’d like to purchase a suit. 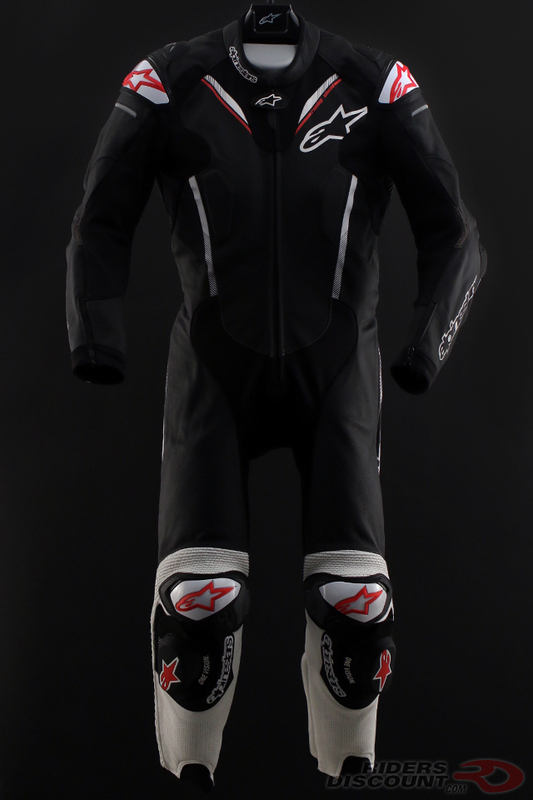 The Challenger V2 is the latest entry-level suit from Alpinestars. Designed with extensive stretch paneling, this suit is suitable for both track and street riding. Newly developed over-molded shoulder TPU guards and removable PU sport knee sliders offer great protection. The Challenger V2 has an aerodynamic back hump that is positioned with a 3D mesh panel for excellent ventilation. Redesigned for 2017, the Motegi V2 is the upgraded version of the original Motegi race suit. The Motegi V2 is able to allow tons of airflow thanks to perforated leather panels on the torso and arms and high-density perforation areas throughout. Leather accordion stretch panels at the shoulders, lumbar, knees, and elbows now replace the previous stretch panels for more protection. Brand new for 2017, the Alpinestars Missile Suit is one of three suits designed to integrate the new Alpinestars Tech-Air Race airbag system (sold separately). The Missile can also be worn without the airbag system, making it a versatile choice for both the track and street. Constructed from full-grain bovine leather, this suit is extremely abrasion resistant. 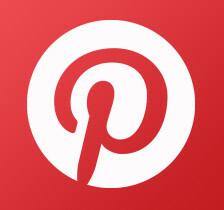 The GP Plus V2 is an upgraded version of the original GP Plus. 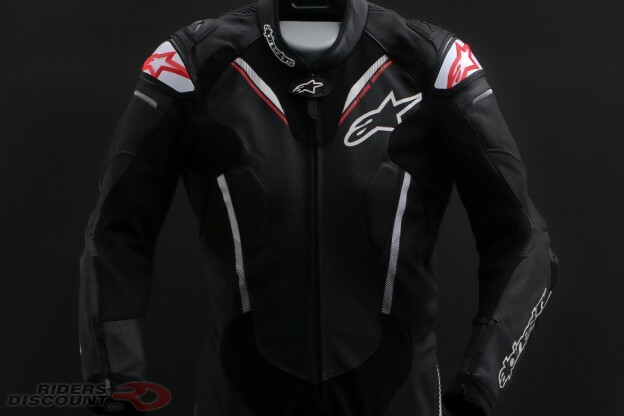 This suit features Alpinestars’ new, exclusively developed GP Dynamic Fiction Shield (GP DFS) shoulder protectors. The new version now has a race-profiled, aerodynamic back hump that is perforated for increased airflow. Redesigned for 2017, the new GP Pro 1-Piece Suit is a complete overhaul of the original version. It features a new “performance engineered fit” designed to accommodate the Tech-Air Race Airbag System. This suit is constructed from 1.3mm full-grain leather and features Kevlar-reinforced inserts for additional protection. 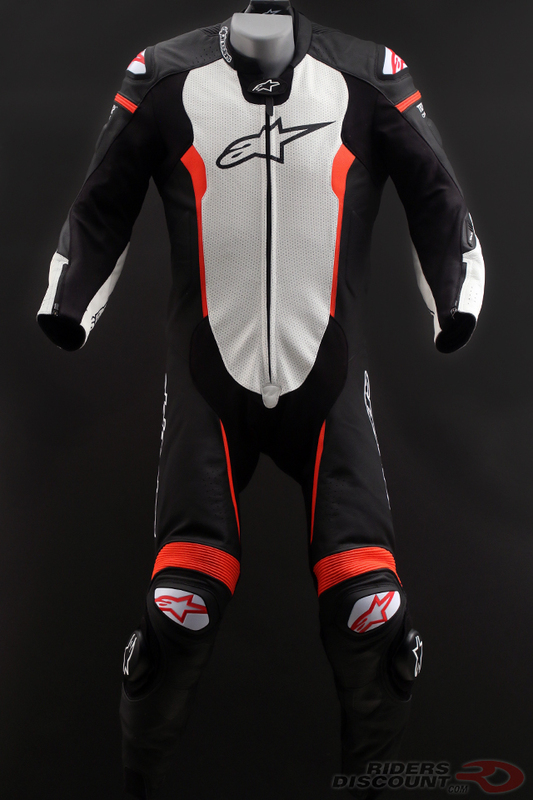 *Note: the Alpinestars GP Pro 2-Piece Suit is not compactable with the Tech-Air Race Airbag System. 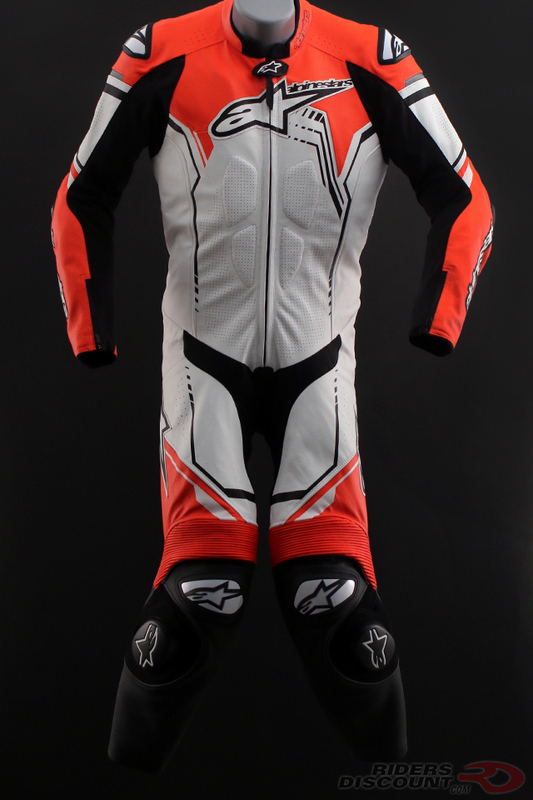 The Alpinestars Atem V3 Suit is CE-certified; not just the armor or specific areas, but the entire garment. 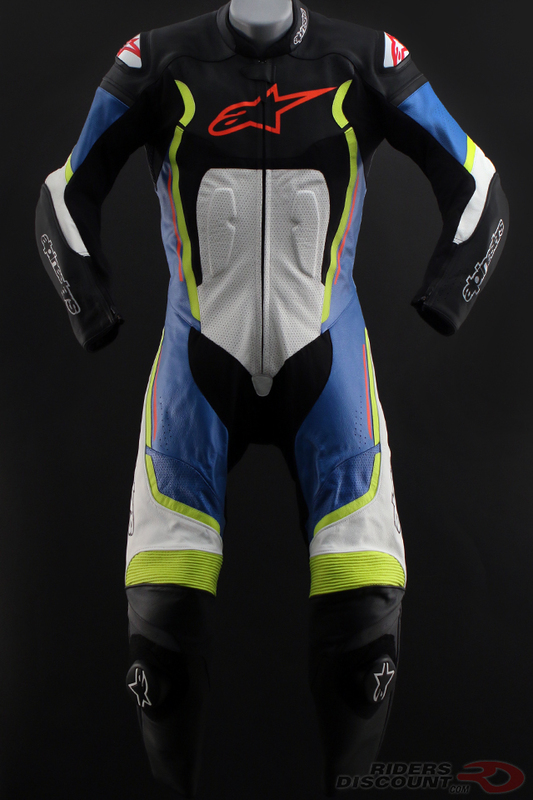 This suit has Alpinestars’ Hyper-Res Stretch Fiber (HRSF) stretch inserts on the crotch, back, and underarms for comfort and movement. New replaceable, anatomically contoured elbow sliders and removable CE Nucleon hip protectors are also included. 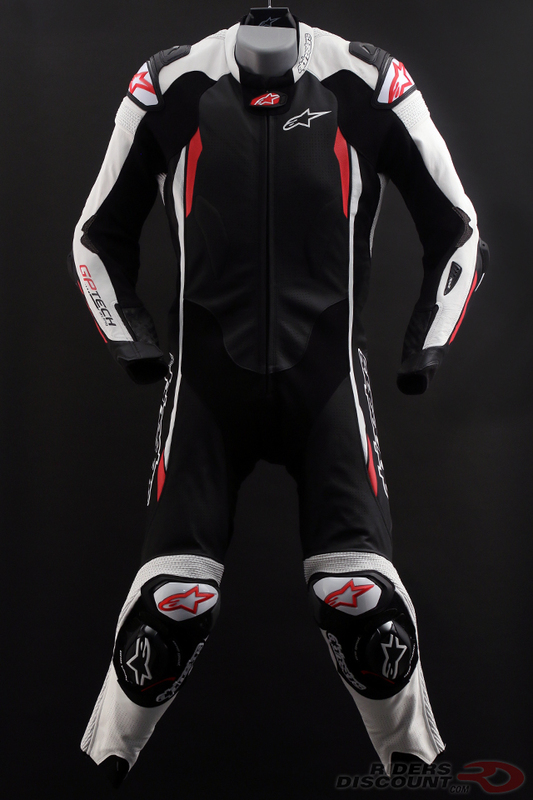 MotoGP designed and tested, the Alpinestars GP Tech V2 Suit is Alpinestars’ top-of-the-line leather race suit. Constructed from a combination of kangaroo and full-grain cow leather, the GP Tech V2 offers the ultimate in protection on the race track. The benefit of kangaroo is that it’s lightweight but still offers excellent abrasion resistance and stretches better to fit multiple body types. 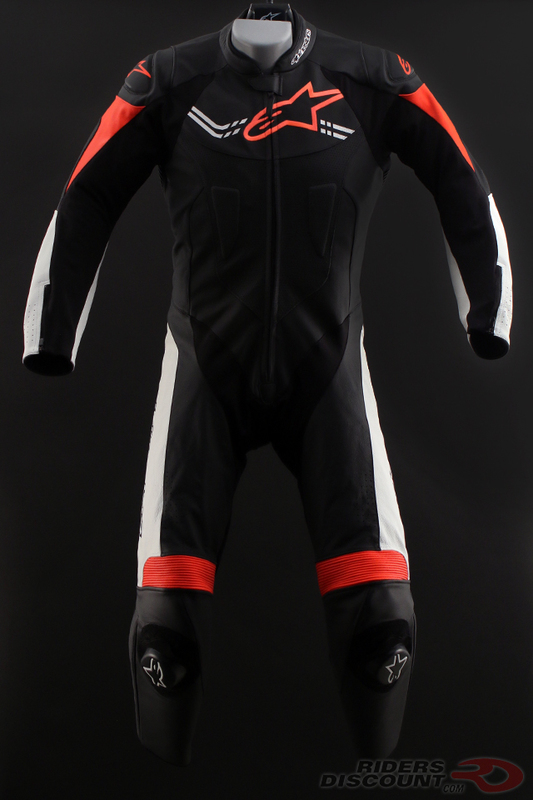 This suit includes a newly designed aerodynamic back hump that is perforated for increased airflow. This new design allows you to incorporate an optional hydration pack (sold separately) and is Tech-Air Race Airbag System compatible (sold separately). This entry was posted in News, Product Reviews and tagged Alpinestars, Alpinestars Atem V3 Suit, Alpinestars Challenger V2 Suit, Alpinestars GP Plus V2 Suit, Alpinestars GP Pro Suit, Alpinestars GP Tech V2 Suit, Alpinestars Missile Suit, Alpinestars Motegi V2 Suit, Alpinestars Suit Guide on November 27, 2017 by Riders Discount.